Last week, I shared with you the first video in my new three-part video series, “Behind the Platform.” Today, I am releasing the second video—and, like the first one, it’s free. In this video I reveal the dumbest, most costly mistakes I made in building my platform, especially in the early years. If I had known then, what I know now, I would be so much further ahead today. But, alas, that’s the nature of hindsight. It’s 20/20. The good news is that you can learn from my mistakes. You may make different mistakes (in fact, you probably will), but you don’t have to make these mistakes. This video alone could save you years of wasted effort, not to mention tens of thousands in lost dollars. Why wander around in circles, wondering why your platform is not growing, when the fixes are so easy? 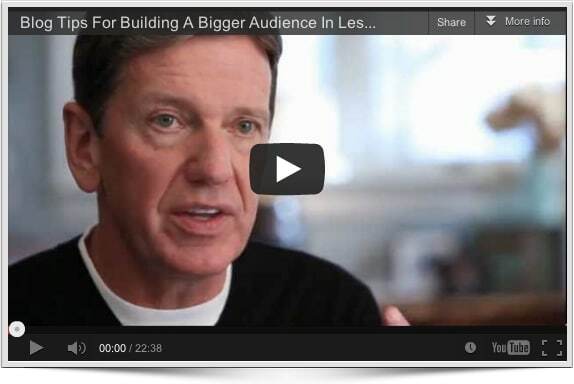 If you’re serious about growing your platform in 2013, you have to watch this video. And, if you want to really get the most out of the video, download the free study guide that goes along with it (located on the same page as the video). As I said, you can watch this video for free. (The other two are free too; you just have to opt-in.) Next week, I will share the details of Platform University and why it may be just what you need to turbo-charge your platform-building efforts this year. By the way, I usually ask you to comment here—and you can if you want. But I’d be grateful if you would leave me a comment under the video when you click over to watch it. Thanks.